The Christmas season is definitely the most wonderful time of the year. From its European roots in the winter solstice to the birth of Jesus of Nazareth, Christmas is celebrated all over the world in many different forms and fashions. We have put together a list of our favorite Christmas traditions that reflect the special meaning that Christmas has for all who celebrate this magical holiday season. Grab some eggnog and enjoy seven Christmas traditions from around the world. Children in Germany just love St. Nicholas, the Patron Saint of Children. 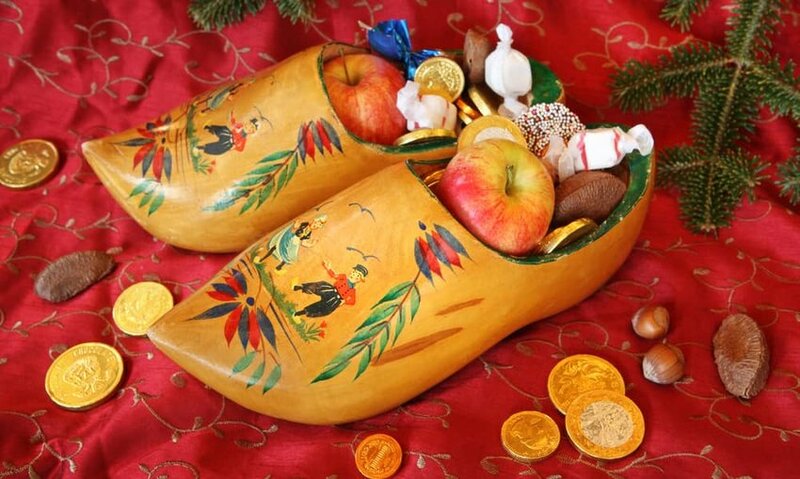 His feast day is celebrated each December 6th when children put out their shoes in the hopes that St. Nicholas will fill them with goodies and presents. Each feast day eve, St. Nicholas and his sinister sidekick Knecht Ruprecht visit villages to see if the children were behaving. If they passed, they got a gift — if not, Knecht Ruprecht would give them a lump of coal. Today, German children still wake to find candies, gold coins and even small treats each December 6th. 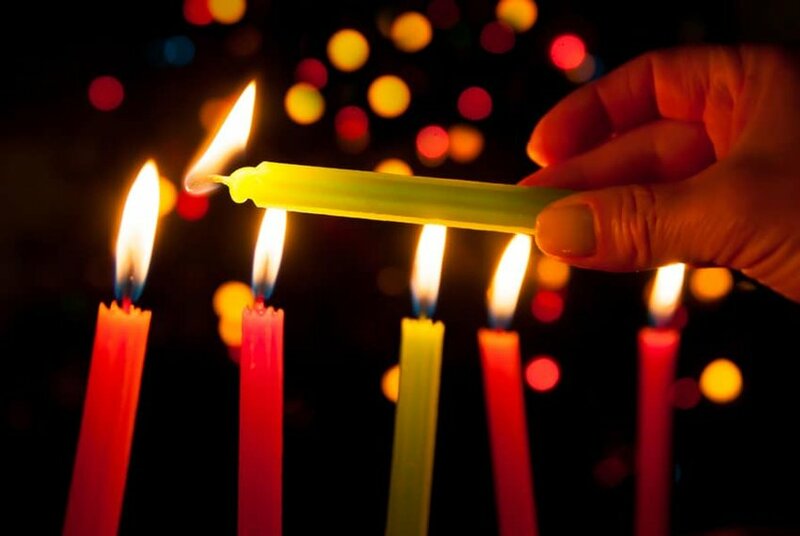 In Colombia, the Day of the Little Candles (Día de las velitas) is a traditional Christmas holiday celebrated each year on December 7th and is the unofficial kick-off to the Colombian Christmas season. On that evening everyone will place paper lanterns and candles on their windowsills, porches, balconies, streets, and in the town squares. Magical flames are everywhere you turn. The lights are placed to honor Virgin Mary and the Immaculate Conception. The next morning, tradition has everyone raising white flags with the Virgin Mary’s image which are flown all day. When the sun sets, village landmarks and tombs in cemeteries are illuminated to celebrate the Feast of the Immaculate Conception and to offer a grand welcome to the holiday season. 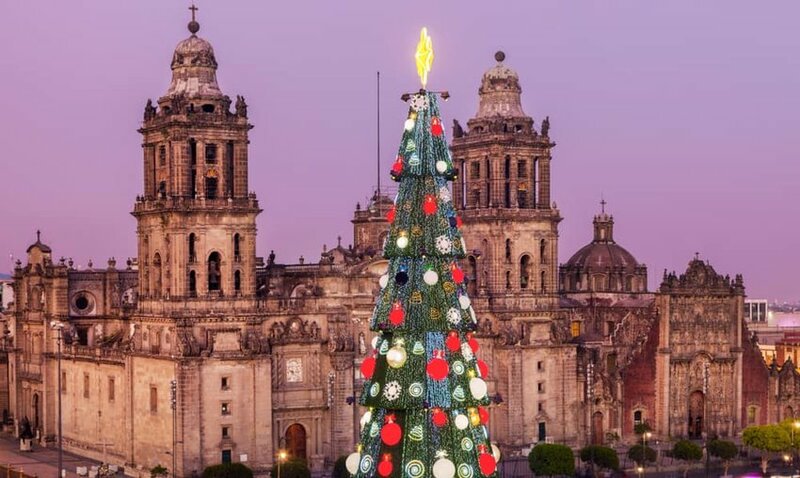 In Mexico, Christmas celebrations last from December 12th through January 6th. Beginning on the 16th, children act out a series of nine processions, or Posadas (Spanish for “inn”). These Posadas symbolize Joseph and Mary’s search for a place to stay the night Jesus was born. The children walk with candles to neighbors’ homes where they sing songs, but alas, they are told there is no room for them. At the last house of the final Posada, on Christmas Eve, the children are told there is room for them and are welcomed in to celebrate the nativity with prayers of thanksgiving and a party complete with food, fireworks and a piñata. In Peru, their big holiday festivity is called La Noche Buena (“the Good Night” in Spanish) and is celebrated on Christmas Eve. After mass, Peruvian families go home to eat turkey and open gifts and at midnight they have a Christmas toast. The most significant decoration in their homes are intricately carved nativity scenes called a pesebre (manger). Instead of a tree, gifts are placed around the pesebre to be opened on La Noche Buena. If you are lucky, you will be chosen to place the figurine of baby Jesus into the manger on Christmas Eve. Even though Christmas is not a national holiday in Japan, it is still a huge day to celebrate, not with a Christmas goose, but with a bucket of KFC. In Japan, December 25th is seen as a day of happiness and romance and many couples celebrate like it’s Valentine's Day. This unique tradition started in the 1970s when some foreigners ended up at a KFC in Tokyo on Christmas Day when they realized that it was impossible to find a turkey in Japan. KFC took note and started a Christmas Chicken campaign—the rest is history. 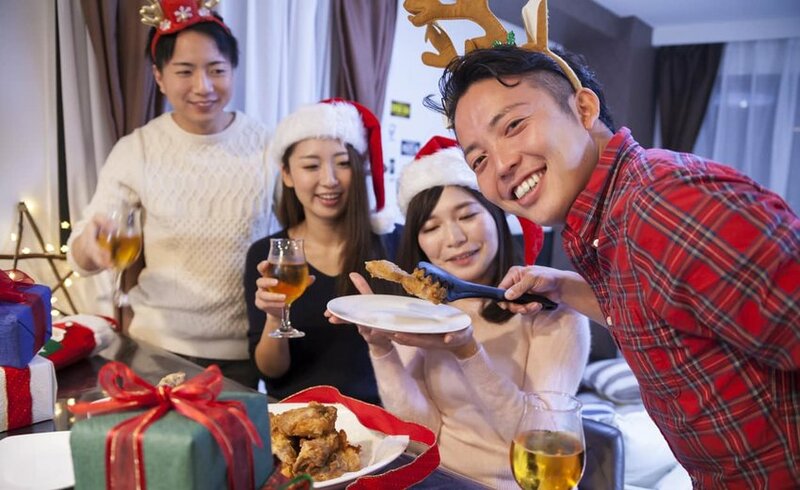 Today, an estimated 3.6 million Japanese families eat KFC during the Christmas season, standing in line for hours to get their bucket of chicken—complete with wine, cake and champagne. In Norway, presents are exchanged on Christmas Eve and gifts are brought by Julenissen, the Norse version of Santa Claus. 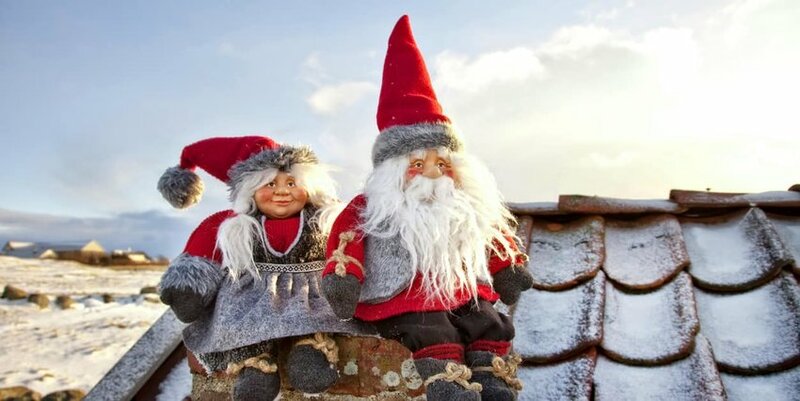 Children may also get gifts from small gnomes called “Nisse” that are often represented in decorations placed around the house. Kalendergave (small gifts) are also given each day during Advent leading up to Christmas. Norway is also the birthplace of the Yule log. The ancient Norse used the Yule log to celebrate the return of the sun at winter solstice. This is why the family fireplace is such a big part of the typical Christmas scene, not to mention the popularity of log-shaped cheese found during the holidays.